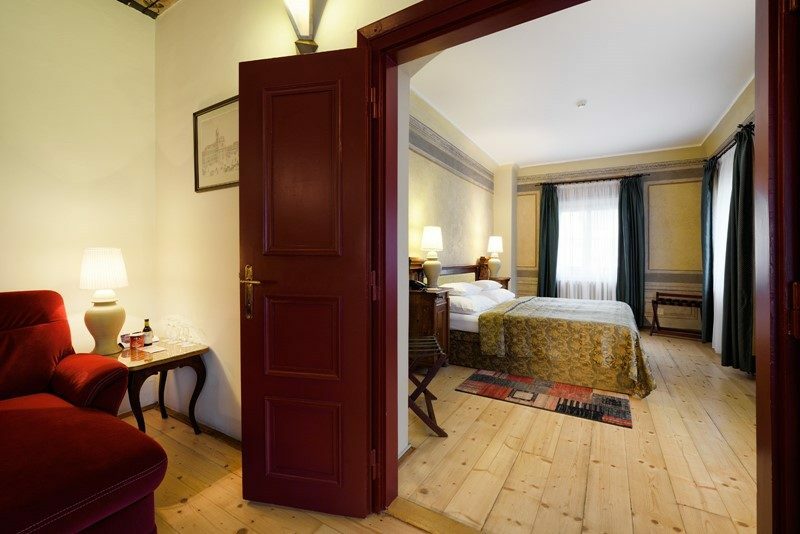 The Charles Hotel nestles at the heart of Lesser Town in Prague. 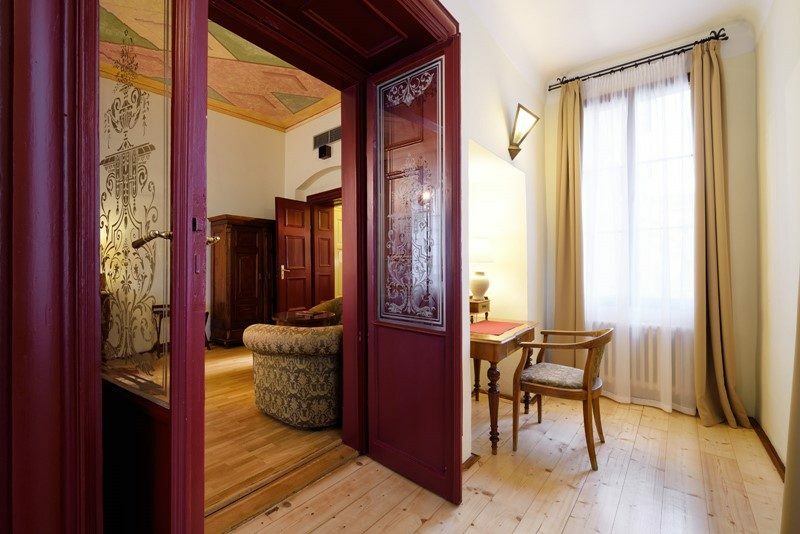 This small and friendly hotel sits in a historic building and combines a traditional facade and styling with all the modern amenities that you need for a relaxing stay in the popular Czech city of Prague. Start the day with a leisurely breakfast buffet as you make plans for your day. Step outside the hotel and you'll find yourself mid-way between Charles Bridge and Lesser Town Square. 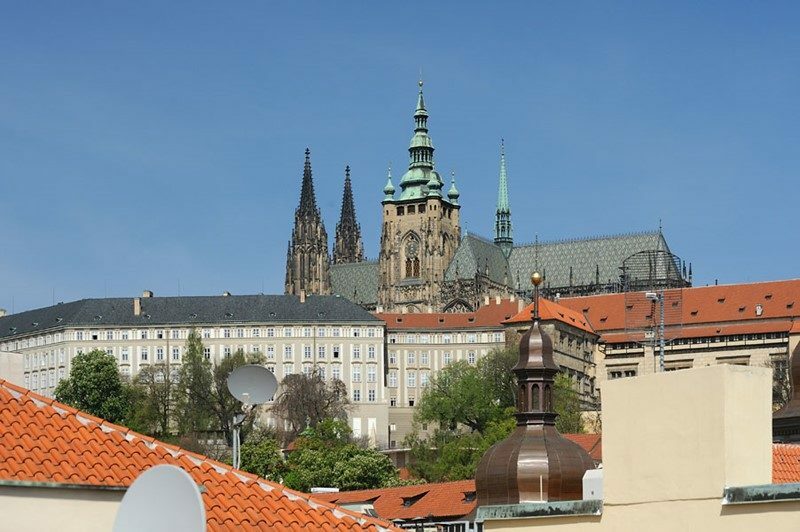 Prague Castle, Hradcany, St Nicholas Church, Old Town Square, Jewish Town, and Petrin Hill are easily accessible too. 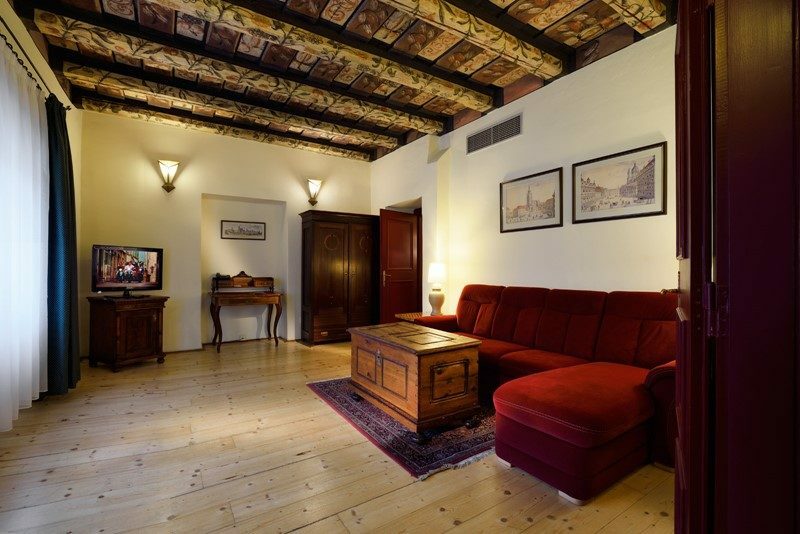 The guest rooms and suites are light and airy and showcase dark wooden furniture with warm colours and welcome amenities. Make a brew using the tea/coffee maker, take your seat to watch a film on the LCD satellite television, or wash away the cares of the day in the well-equipped bathroom. The air-conditioning and comfy beds aid a restful night's slumber. The bar is the social hub of the hotel and the perfect place to mingle with your fellow guests over a cup of coffee or glass of wine. You'll also find a good choice of bars, cafes, and restaurants in the local vicinity where you can try authentic local fare and experience Prague's famous nightlife scene. 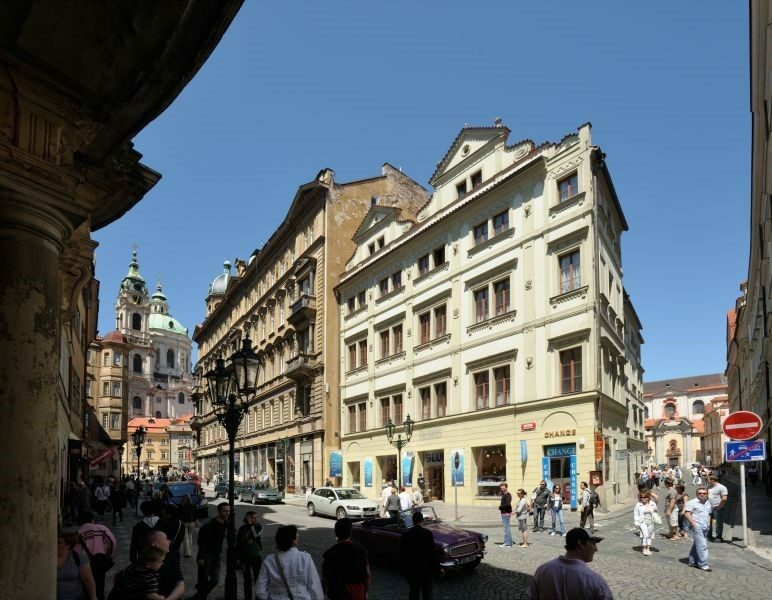 Discover why The Charles Hotel is a popular place to stay for Prague city breaks. The facilities at The Charles Hotel include: a breakfast room, bar, complimentary Wi-Fi access, 24-hour reception, concierge, computer terminal in lobby with Internet access, Wi-Fi Internet access throughout, laundry/dry cleaning, doctor on call, ATM, lift to all floors, and parking. 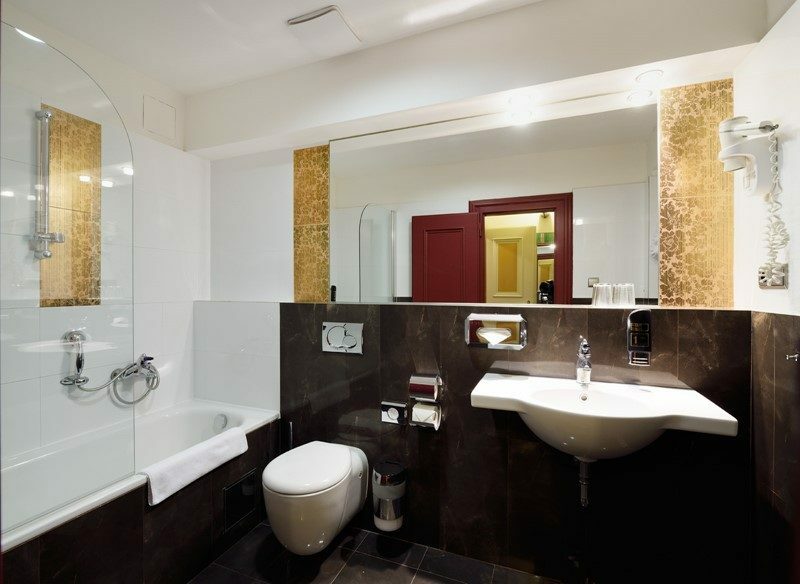 This Prague hotel has a total of 31 modern guest units; comprising 25 rooms and six suites. 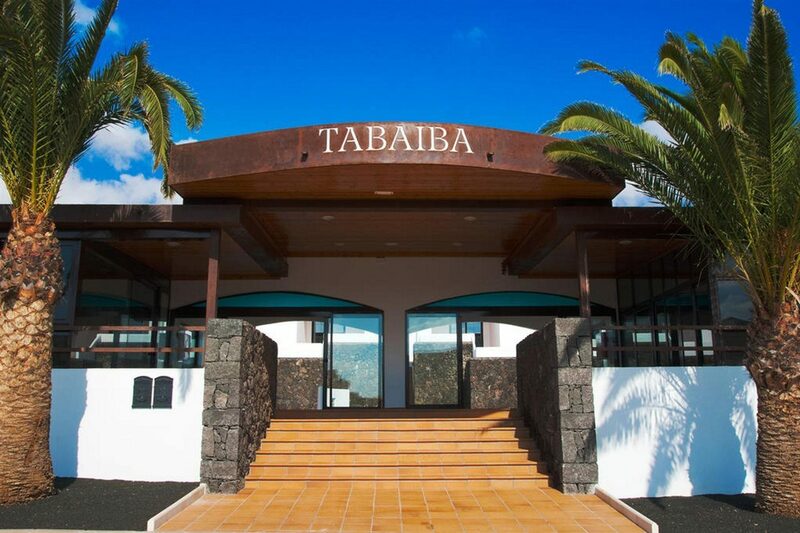 The rooms have air-conditioning, hairdryer, coffee/tea maker with complimentary supplies, complimentary Wi-Fi access, safe, direct dial telephone, bathroom with toiletries, WC, and bathtub and/or shower, LCD satellite television, and minibar. A rich breakfast buffet is served each morning from 07:00 to 10:00 in the breakfast room. The bar is your go-to for hot and cold drinks and a choice of spirits, wines, and cocktails.